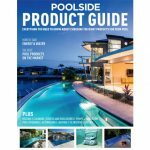 Pool owners not only demand great outcomes, but also products that are manufactured to last, are easy to operate and, ultimately, saves energy and ultimately help save them money as well. Designed to meet international operating standards and stringent Energy Rating regulations, Waterco’s ECO pool pumps and FlowVis® Flow Valves help operators slash energy bills and optimise pool operation. 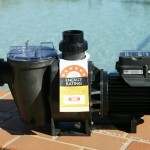 • Supatuf is a great value, compact, ultra quiet pump suited to most domestic swimming pools. 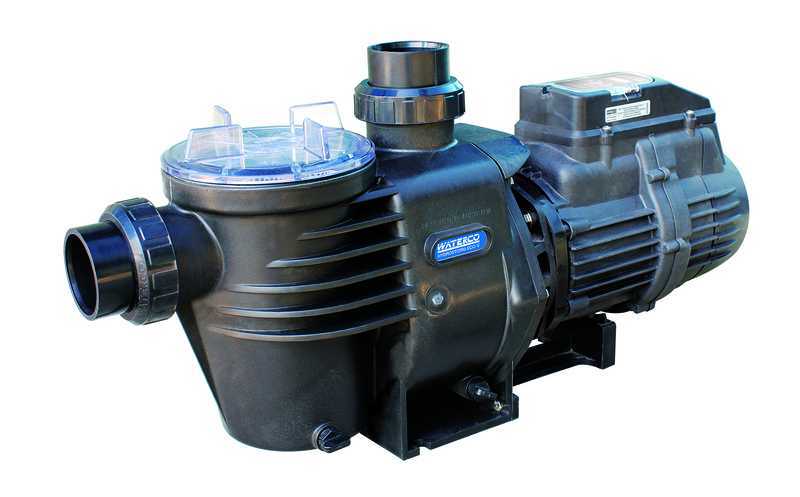 Unlike conventional pool pumps that are limited to one speed, Supatuf is equipped with an energy saving 3-speed motor that reduces water flow and automatically lowers its power consumption. 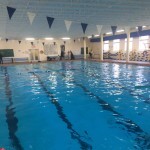 Catering for most pool functions, they include High (vacuuming and backwash, 1% of the time); Medium (automatic pool cleaners); and Low (filtration, 99% of the time). • As a pool’s filtration efficiency improves at lower flow rates, Supatuf can be operated on Low (ECO) for a majority of its running time, leading to significant energy savings of up to 70%. 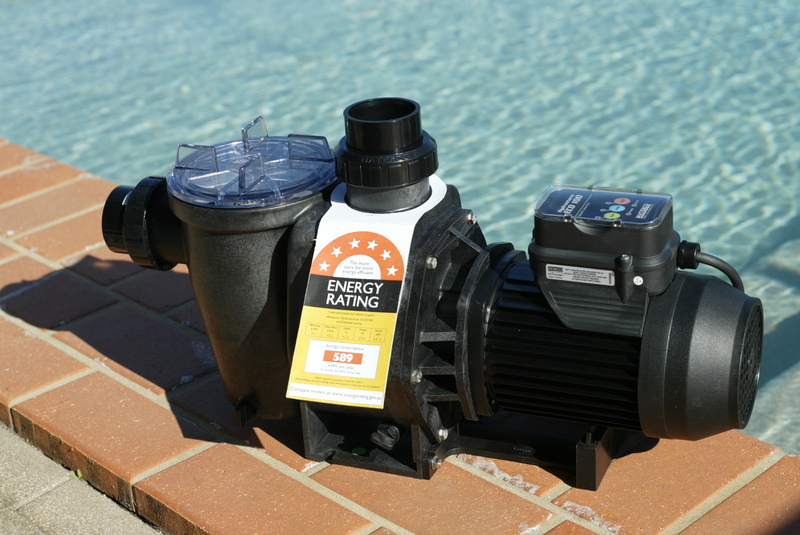 • Supatuf’s 7-Star Energy Rating is due to its low 1900-RPM speed, which is recommended for standard pool filtration and recirculation systems. 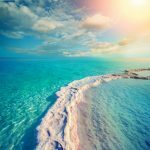 Low noise levels also enable pool owners to take advantage of cost-effective, off-peak electrical tariff periods. 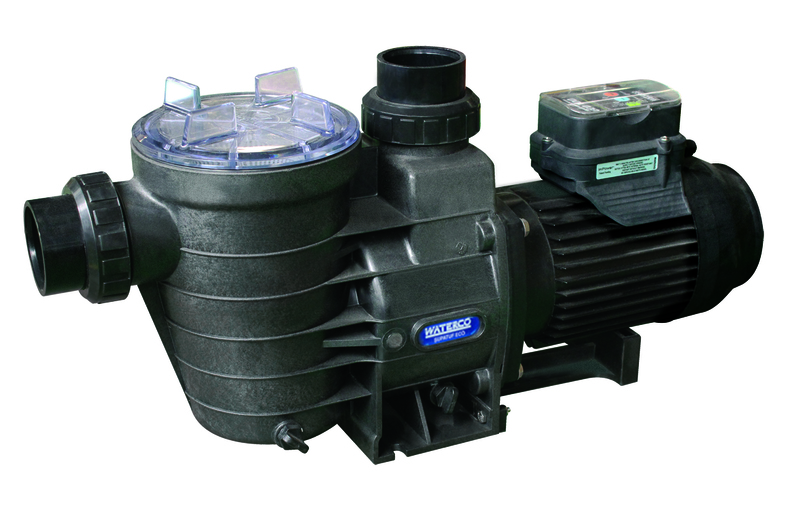 • Big brother to the Supatuf ECO Pump, this pump features a variable 3-speed control panel, with ECO (low), MEDIUM and HIGH speeds. 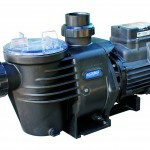 In addition, the pump also has the further advantage of fine adjustment in operating speed, with 25 RPM increments, enabling the motor speed to be fine-tuned to perfectly match the flow requirements ofthe pool. The advantages? Energy savings can be further maximised with an ECO-V pump (power use can be slashed by up to 88%) and pump noise further minimised. 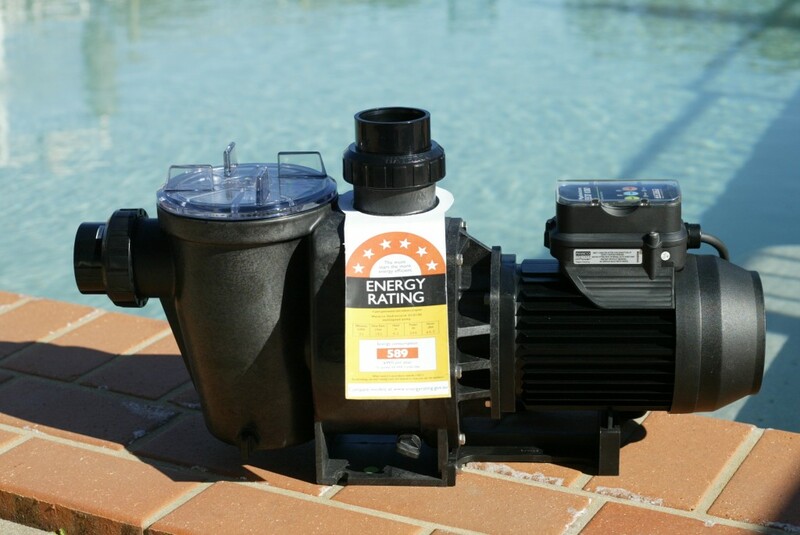 • The benefits of lowering a pump’s flow rate not only lessen its reliance on electricity but also reduce water flow resistance in the pool equipment and plumbing. 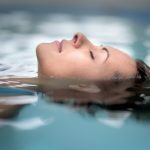 A slow flow rate has the additional benefit of boosting the pool’s filtration efficiency, further enhancing the clarity of pool water. 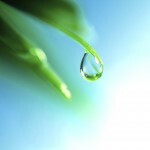 Automatic chemical dosers and salt chlorinators are also more effective when pool water is circulated longer. 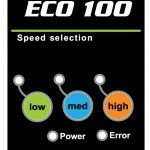 • The Hydrostorm ECO-V 100 is designed to deliver stronger performance with a ‘higher head’ ideal for larger sized pools with ancillary systems such as heating, in-floor cleaning, fountains, vacuum cleaning and swim jets. 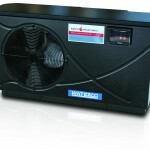 It is also capable of lowering its motor speed, reducing water flow and maximising energy consumption. 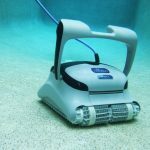 • Created for large domestic and semi-commercial sized swimming pools, the Hydrostorm ECO-V 150 is identical to the ECO-V 100 except for its larger motor. 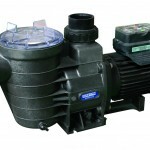 • These pool pumps have the capacity to produce a higher flow rate, which is required for larger sized pools and single pump systems. • Hydrostorm’s 1.5 hp capacity also means it can be used in single pump systems, so the same pump that operates at a low setting for filtration can also operate on high speed to divert water to the roof for solar heating or to floor inlets for in-floor cleaning systems. 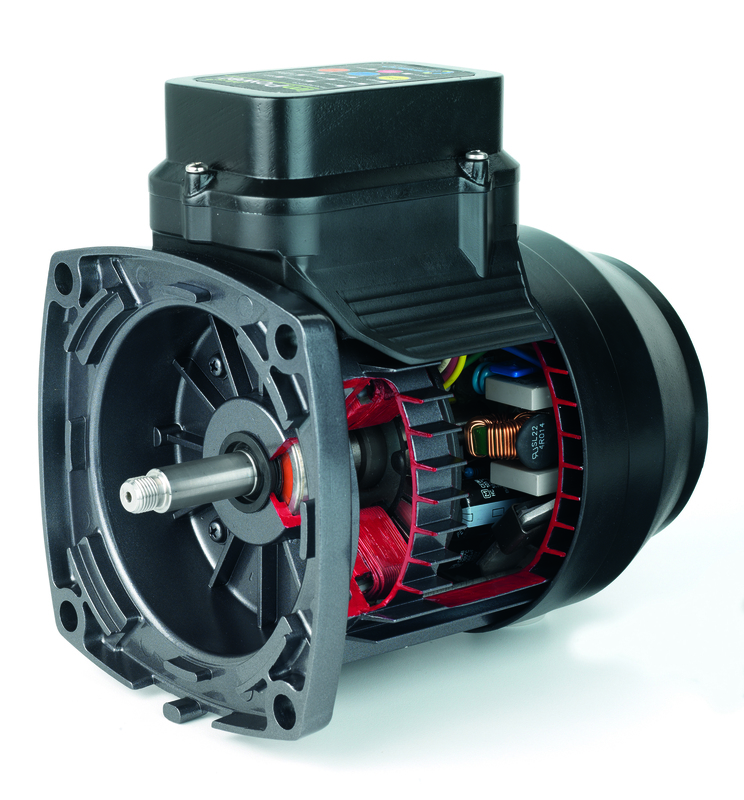 • Slashing power use by up to 88%, this top-of-the range pump is equipped with an energy saving variable speed motor that offers the finest adjustment in operating speed with 25-RPM increments. 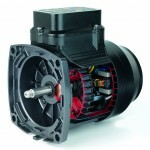 • Its 8-Star Energy Rating has enough power to ramp up to 1.5 hp while its low speed setting significantly reduces the pump’s vibration, motor noise and water turbulence to an ultra low 55 decibels. 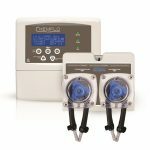 • The first flow meter to be tested and certified to NSF50, this ingenious device maximises energy efficiency while simultaneously ensuring sufficient flow and pool turnover. • FlowVis® is 97.9% accurate, making it the most precise flow meter designed specifically for pools, spas, fountains, and water features. 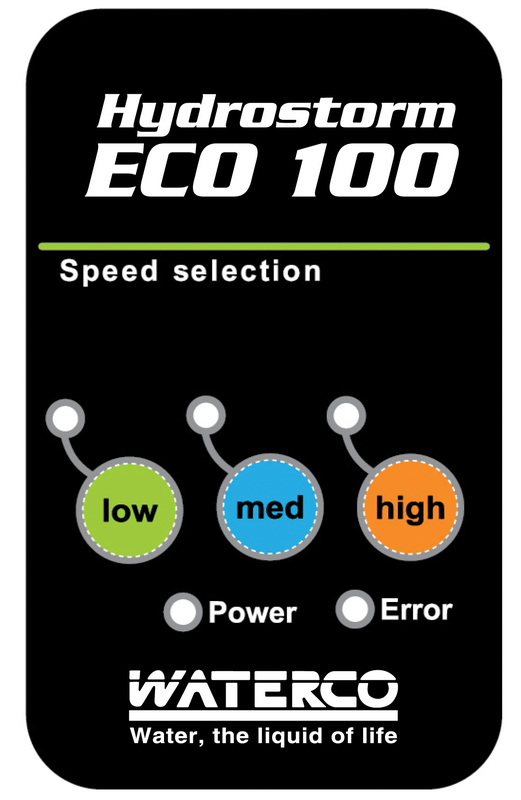 In fact, once the unit has been installed it doesn’t need to be calibrated – ever! 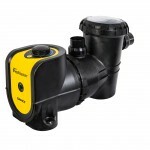 • The recently introduced FlowVis® 40mm model is ideal for pool heaters, and as with the FlowVis 50/65mm, it’s perfect to install in conjunction with variable/multi speed pumps. • With the FlowVis®, you have the ability to fine-tune the flow rate, which enables you to maximise energy efficiency while ensuring sufficient flow and pool turnover. 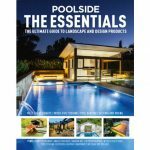 Plus it overcomes issues some pool owners have faced where a flow rate has been set so low that the pool water isn’t adequately turned over, which means there’s inadequate circulation, resulting in insufficient sanitisation. That certainly isn’t the case with FlowVis®. 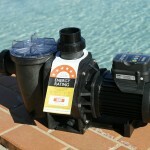 • FlowVis® can be used by pool service technicians as a temporary connect during installation and adjustment of pool equipment such as variable/multi-speed pumps and pool heaters to ensure optimal flow rates are achieved. • This fully functioning check valve is ideal for Hydrostorm ECO-V pumps as it shows accurate water flow within the pool’s filtration circuit. 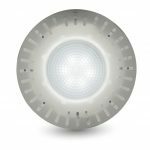 • FlowVis® can be installed horizontally, vertically, or even-upside down, and within any proximity to other fittings with no effect on accuracy. 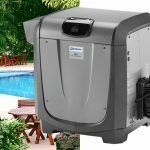 Whether your customers are looking for a pump for a new pool, or replacement for an existing pool, Waterco has an incomparable range of energy-efficient models to choose from.